Many of us find ourselves in situations where our finances are difficult to manage. We might feel overwhelmed with debt, or unsure of how to create the income needed to reach long-term goals. 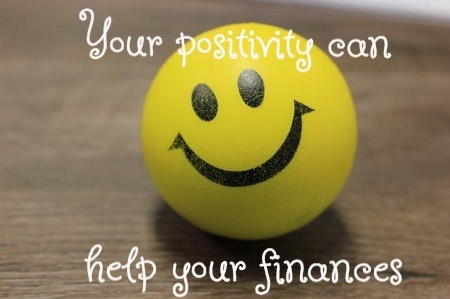 No matter what trouble you find yourself in, positivity can help you overcome some of your financial issues. First, it’s important to understand that positive thinking alone won’t fix financial problems. All the positivity in the world won’t make up for a lack of action. When using a positive mindset with your finances, it’s more about finding the motivation to keep moving forward, even when setbacks weigh on you. Positivity can help you stay focused on your ultimate goal, and give you the push you need to take the next step. Your positive mindset can help you see what is possible in a way that dwelling on negativity can’t. As you consider the following positive money mindsets, remember that positivity is only the first step. You need to take the subsequent steps for true success. Too often, we think of money as the end result, rather than a resource that can help us reach our goals. A positive way to view money is to see it as a resource that you can direct. This approach helps you see that you are in control of your money. View your money as something that responds to you and helps you accomplish your goals, and that positive shift can help you see financial planning in a new light. 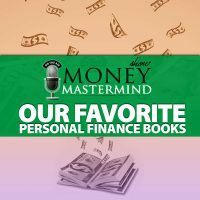 When you are in the mindset that views money as a resource, you can start to see how it can be a tool, whether you want to achieve debt freedom, a secure retirement, or go on vacation with your family. Think about how to direct your financial resources toward different outcomes, and you’ll stop worrying so much about what you wish you could amass, and focus more on what you can do. One of the ways that you can help your finances with positivity is to develop an abundance mindset. Too often, we focus on scarcity: there isn’t enough money to do this, I don’t have enough money to buy that. Instead of becoming caught up in what you don’t have, develop a mindset that recognizes what you do have – and what you can do with your money. No, you may not be able to buy something very expensive right now, but focusing on the “can’t” won’t help you make steps to get what you want. Instead, if you focus on the fact that there are things you can do right now with your money, and acknowledge that you can save up to eventually get what you want, you will have a more positive interaction with your finances. Don’t limit yourself by saying that you don’t have enough, and that you’ll never make enough money. Start by acknowledging what you already have, and noticing that sometimes your wealth isn’t just measured in monetary terms. Health, family, friends, and other items can be worth focusing on. Be grateful for what you do have, and then understand that it is possible to earn more money, if you are willing to work hard. 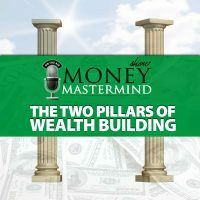 Shifting to an abundance mindset that focuses on non-money wealth, as well as on your ability to complete side gigs and take other steps to earn more money, can help your finances now and in the future. Finally, don’t forget to celebrate your forward progress. It’s easy to get bogged down in the fact that we aren’t exactly where we want to be just yet. Instead of constantly becoming upset over what you haven’t accomplished yet, consider measuring how far you’ve come. You might be surprised to see the progress you have made in the last year or two years. View your journey toward financial freedom as a work in progress, rather than something that is all or nothing. Being able to celebrate your progress gives you the energy to keep moving forward. You don’t have to wake up tomorrow and have all of your goals completed. It’s ok to keep making small improvements. Be positive and focus on the ways you’ve improved, and you’ll be able to set – and achieve – additional money goals. Your positive mindset can make the difference between pressing forward and eventually reaching the success you’ve designed for yourself, or giving up as negativity overwhelms you. Develop positive mindsets about your life and your money, and you’ll help your finances in the long run. I can attest that a positive mind set is important to win financially. It wasn’t until I believed in myself that I made the changes I needed to reach financial freedom. First realize their is a problem with your finances and then believe you can make a difference- for you will.